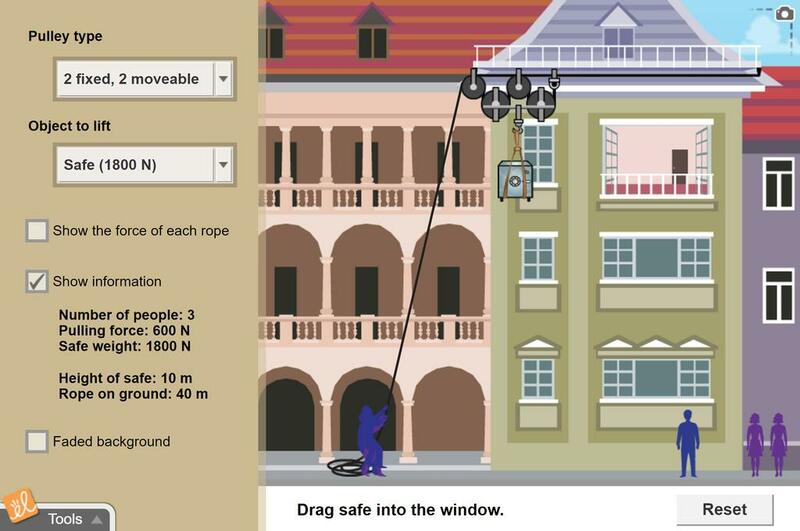 Lift a variety of heavy objects (armchair, safe, piano) using pulleys and a rope. Systems of one, two, four, or six pulleys can be used. Up to six people can be used to pull on the rope, which adds force (effort). Describe the parts of a pulley. Demonstrate that adding pulleys decreases the effort needed to lift a given load. Find the mechanical advantage of a pulley system. Observe how pulleys multiply the effort force. Great supplement to the FOSS unit on Levers and Pulleys!